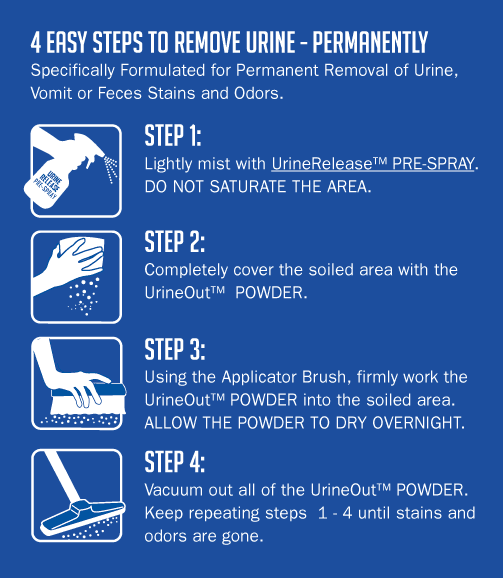 UrineOut Powder™ is designed for the removal of BOTH urine stains &/or urine odors from hard surfaces such as Hardwood Floors, Tile / Grout, Concrete, Etc. It only Dilutes and Spreads the Urine! 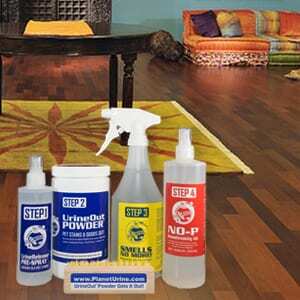 Any liquid based cleaning solution (including steam cleaning) doesn’t work because you will never be able to “blot” or wash all of that wet liquid mess out of your Hardwood Floor, Tile / Grout, Linoleum, etc.